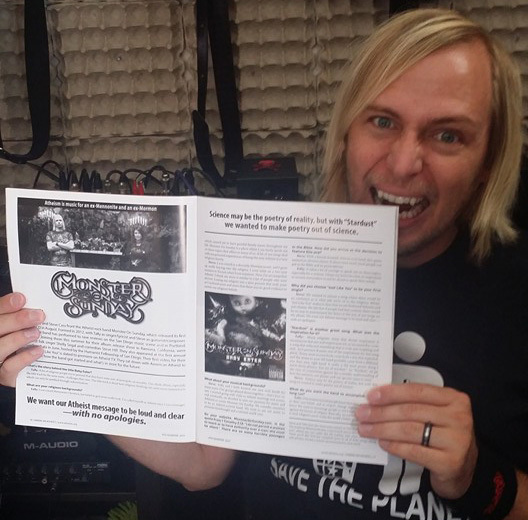 We’re in American Atheist magazine! Just in time for the war on Christmas, lol! They gave us a two-page spread AND a mention on the cover. This is a dream come true for our band! Thank you David Silverman and Pamela Whissel.